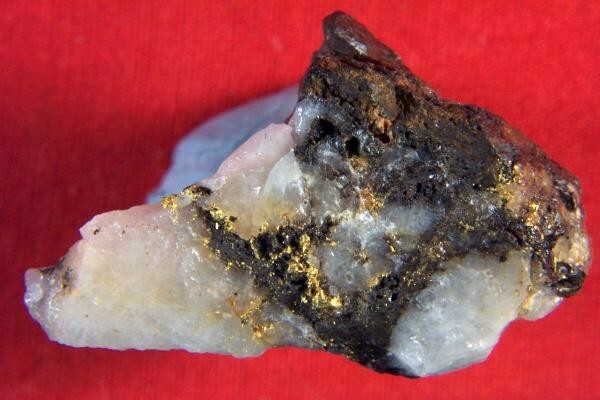 Another gorgeous Australian gold in quartz specimen from Western Australia that was found during a prospecting expedition in the mid 1990's. You can see the gold running in veins all the way through. An ohmmeter test shows that the gold is running through the specimen from one end to the other. This beauty has an overall weight of 15 Grams. 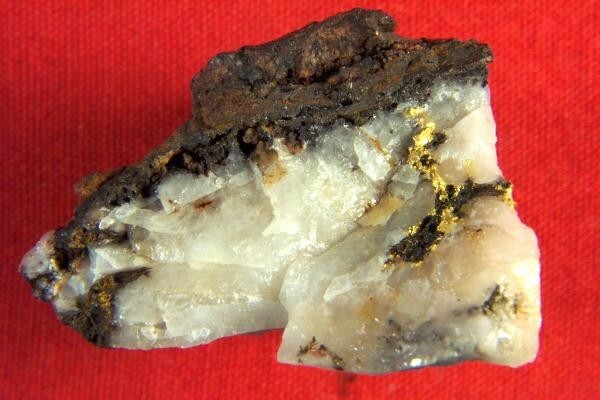 The quartz is multi-colored, with white, tan, brown, and with a black graphitic slate material next to the gold and then a layer of ironstone. It has a very interesting geology and it is very interesting to look at. 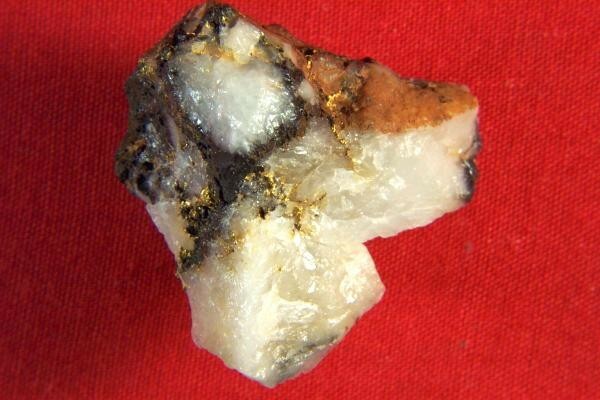 The size of this unique gold specimen is 1.2" x 1.2" x 3/4". 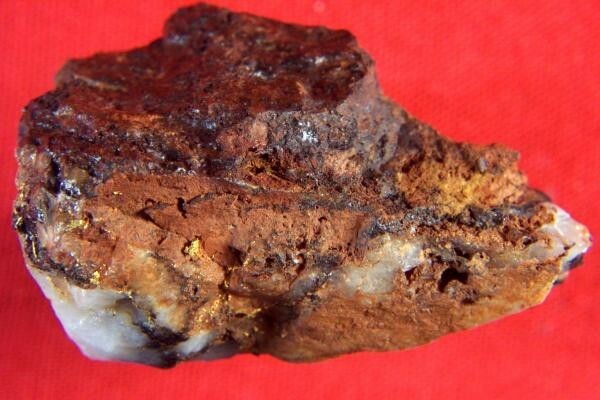 This fantastic gold specimen would make a great addition to your collection.